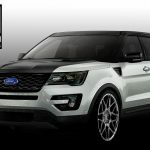 With the SEMA aftermarket tuner trade show just around the corner in early November, Ford Motor Company has given us a sneak peak at a handful of customized concepts that will be making an appearance at the Vegas Convention Center. 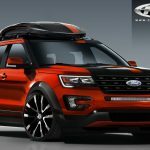 Built off of the new 2016 Ford Explorer, these three concepts showcase just some of the possible directions that one can take the SUV in the pursuit of sporty performance and offroad-ability. First, the “All Star Performance” 2016 Ford Explorer concept. It’s been fitted with a performance MagnaFlow exhaust, Vortech intercooler, and 2.5-inch lift kit from Traxda, making it “the ultimate road trip vehicle no matter the destination,” in the automaker’s own words. A carrier basket and front and rear LED light bars add some functionality, while the interior has been graced with custom suede and leather upholstery and a premium Sony audio system. 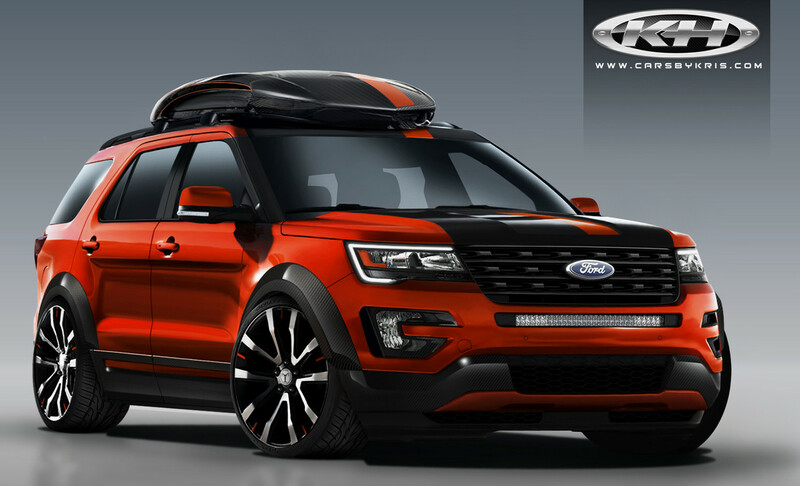 A flashy orange paint job lends the All Star Performance Ford Explorer some panache. 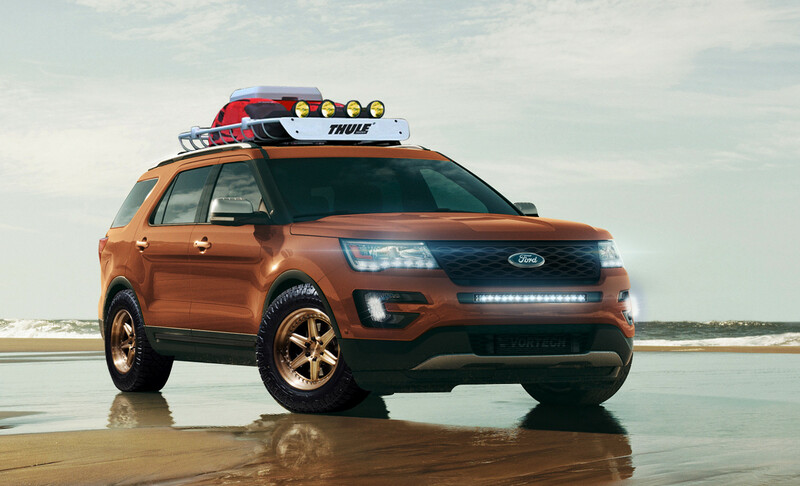 Second, there’s the “Project Wanderlust” 2016 Ford Explorer. 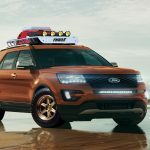 Built by Cars by Kris, the Project Wanderlust Ford Explorer is named after the impulse to travel and explore. It boasts PPE downpipes, a CGS exhaust system, and engine-management tuning by Leading Edge Tuning. This concept features an even more visually striking red-orange and black paint job, carbon fiber roof box and wide body fender flares, and on the inside, a leather-appointed interior, and CT Sounds audio. 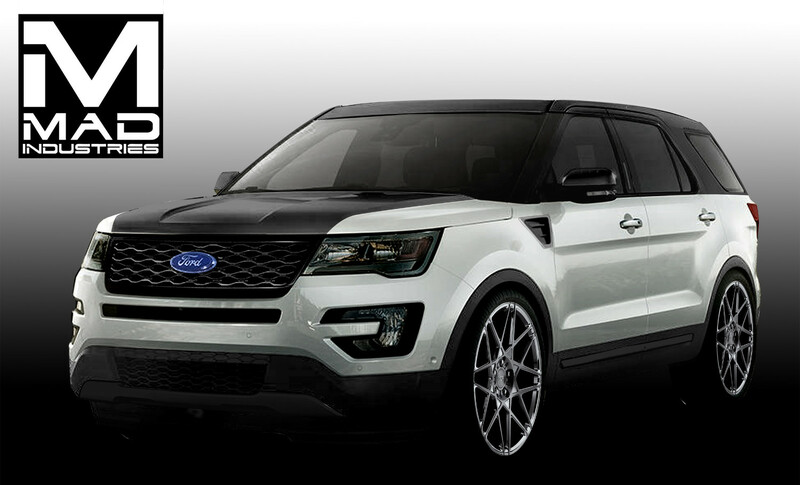 And then, there’s a nameless black-on-white 2016 Ford Explorer concept, done up by MAD Industries in a way which strongly resembles a Land Rover. This build features a K&N air intake, stainless cat-back exhaust, and a Pro-Plus handling package from Eibach. The striking paint job is echoed on the inside, as well, with black leather and white contrast stitching. The steering wheel also boasts matching suede and leather wrapping, and the SUV concept features a Focal audio system. 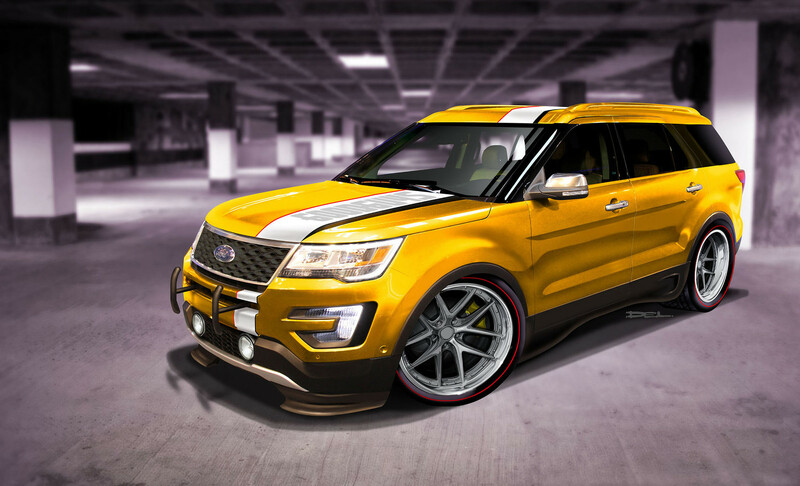 Finally, a 2016 Ford Explorer Sport painted in a loud metallic yellow with white stripes from Good Guys will be joining the aforementioned at SEMA. A Flowmaster exhaust and Airaid cold air system add some grunt, while Eibach lowering springs give the concept a more aggressive stance. The SEMA trade show takes place from November 3rd through the 6th in Las Vegas. 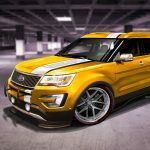 But before that arrives, you can see all four of these custom Ford Explorer builds in the image gallery below.